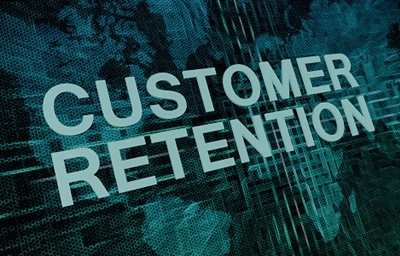 A recent survey by Yellow New Zealand found that customer retention was a pressing concern for eight out of 10 small- and medium-sized businesses (SMBs). And it isn’t just brick-and-mortar locations that are seeking customer retention strategies; SMBs that operate online are also seeking new ways to retain customers. More and more customers are making their purchases online, using a computer or mobile device, giving them more power over where they purchase their goods from. In the past, they had little choice; now, the choices are almost limitless. And with the advent of social media, customers now have a way to share their opinion of your business, whether good or bad. We at 3C Contact Services have some strategies for our SMB clients to follow if they want to find and keep customers. In today’s market, being competitive isn’t enough. A small, family-run business may be quaint, but at the end of the day, it won’t help you to stand out in today’s connected world, especially when dozens of similar businesses are a simple mouse click away. Look at your business and what sets you apart from your competition, then make this the thrust of your marketing campaign. Show your existing customers why they should stick with you instead of making the move to a competitor. If your workers do any volunteer work or you support any charities, mention this prominently on your web site or on social media. Writing a blog that provides your customers with helpful advice will keep them coming back; it may even bring in new customers. Your competition is doubtlessly pricing their products and services the same, showing that your organization has strong ethics and you’re making an effort to engage your customers, which will drive retention. It doesn’t matter how good your products or services are; if you don’t have a web site that works on multiple platforms and has all the relevant information, such as prices, you’re going to lose business to competition that has a more mobile-accessible site. Your online presence should reflect what customers are looking for. If you have a web site that your customers can browse both on their PC and their mobile device, along with reliable service and low prices, you are far more likely to retain customers. You also want to make sure your site is easy to navigate. For instance, if making a purchase on your organization’s web site is too confusing, customers will doubtlessly go to a competitor with an easy-to-use purchase process. Even if a customer chooses not to make a purchase, thank them anyway and offer to sign them up for any mailing lists. Another option is to let them know about any social media pages you have. You also don’t have to view other SMBs as competition; cross-promotional opportunities are an excellent strategy for customer retention.